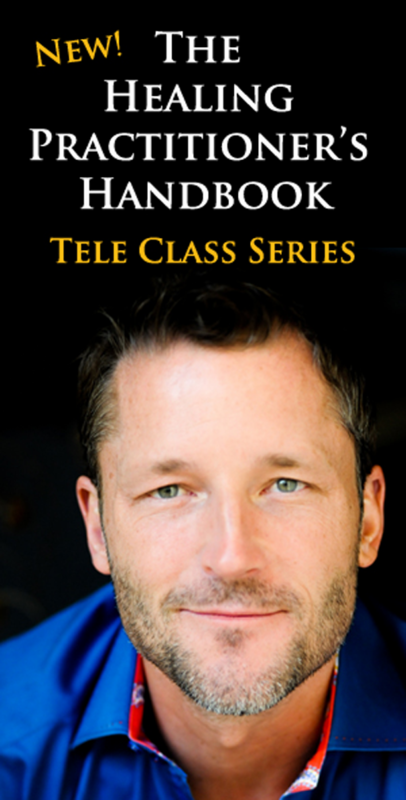 Healing Practitioner's Handbook Telecall Series. 6 calls exploring the use of the tools of Access Consciousness for professional healers, facilitated by Dr Dain Heer. 6 calls exploring the use of the tools of Access Consciousness for professional healers, facilitated by Dr Dain Heer. This is a unique extended telecall series for professional practitioners who know something else is possible --- and required. It is an invitation to a totally different and very pragmatic way of adding to, and expanding your practice. This telecall is the first time a group of professional practitioners form all over the world get together to explore what else is possible in their lives and practices using Access tools. What if this could expand everything you know into something that goes beyond what even you thought was possible? Dear fellow Practitioner, I have a question for you: Why did you get into healing in the first place? Was it to assist people? Was it to make the world and it's bodies a better place? Or was it,--secretly even to you--so you could contribute to CHANGING THE WORLD? If you became a doctor, healer, massage therapist, psychologist or something like that for any of the above reasons, and you have been feeling like somehow there must be more, and you?ve been looking for the real, concrete, tools to make that happen, then I'd like to invite you to telecall series like no other you've experienced before. And still, 11 years ago, I was so frustrated with my practice and with not making a great enough change in people?s lives, and with not being financially-rewarded for doing so, that I was on the verge of suicide. Now, hopefully, you are not anywhere close to that point in your life or your practice. But if you are, or if you love what you do, BUT YOU KNOW THERE'S MORE POSSIBLE, I have a very special invitation for you. I'dÂ like to invite you to a telecall series that could, quite literally,Â change your life and your practice. It?s not about some money-makingÂ scheme, or some new supplement, or some new piece of technology. It'sÂ about YOU. It's a new way of being in your life, in your practice, and with the energy and healing ability you have available that actually allows THE ENERGY YOU BE to create change in people's bodies and their lives. OK, really it's more like an old way of being that you've probably forgotten how to be, except in meditation, or in the deep woods, or sometimes, when you're really in the groove in your practice and you go beyond thought. I know from personal experience that you can be that all the time. I used to be a Network chiropractor, wondering if I would ever 'get' it like the founder of Network and the other really great Network docs... I didn't want anyone else to know, because I was afraid of being judged, but I kept having this nagging feeling that somehow I was really missing something. I used to faithfully go to my practice five days a week and try to create a change for people because I knew change should be possible. And, still, after just a short two years of practice, I was literally on the verge of suicide. Luckily, six months before the date of my planned self-inflicted demise, I had the fortune of being introduced to something that allowed all of that to change. I started being able to create phenomenal changes for my practice members in a very short amount of time. What really happened was that the changes I had always wanted to create in my practice members started showing up consistently as if by magic. I FINALLY HAD THE TOOLS TO CREATE LASTING CHANGE! What really excited me was the fact that I didn't have to give up Network. And I could still practice according to one of my favorite parts of the Network chiropractic, empowering my practice members. In fact, I was able to empower them even more than before. I was able to provide them with tools that would continue to work to create change. Oh yeah, and, you don't have to give up anything you do for this to work for you either. In fact, please, don't ever give up anything that's working for you or the people you work on. It's just a matter of expanding your personal toolbox - with tools that actually work! And they work in the situations of our lives that require them the most. They work in your practice and they work in your life. Imagine if you had the tools, the energy, and the inspiration to make all of the changes happen that you have been wanting to occur for you and for your practice members. What if you could do it more easily and with a lot more joy and a lot more financial ease too? I'm not saying this thing I stumbled across eleven years ago is a miracle, but it's as close to it as anything I've seen. It's called Access Consciousness. Call it Access for short. Does it sound too good to be true? I would probably have thought so eleven years ago. But now, I see miracles occur EVERY DAY with the people I work on. And I have the confidence to know that I have the tools and the capacity to create a change for people. Would you like that too? Consider this your invitation to finding out if there's something out there that can contribute to your life in a completely different way. Consider this an invitation to see if the possibilities you've been dreaming of can really come into existence. Is now the time? Only you know. Come along and explore these tools with a group of practitioners from all over the world?. And if you don't absolutely love it, and if you feel it doesn't contribute to you, your life and your practice at least ten times what you paid for the class, let me know at the end of class, and I will cheerfully refund your money. Consider this your invitation to a completely-different possibility for being, living, and practicing.